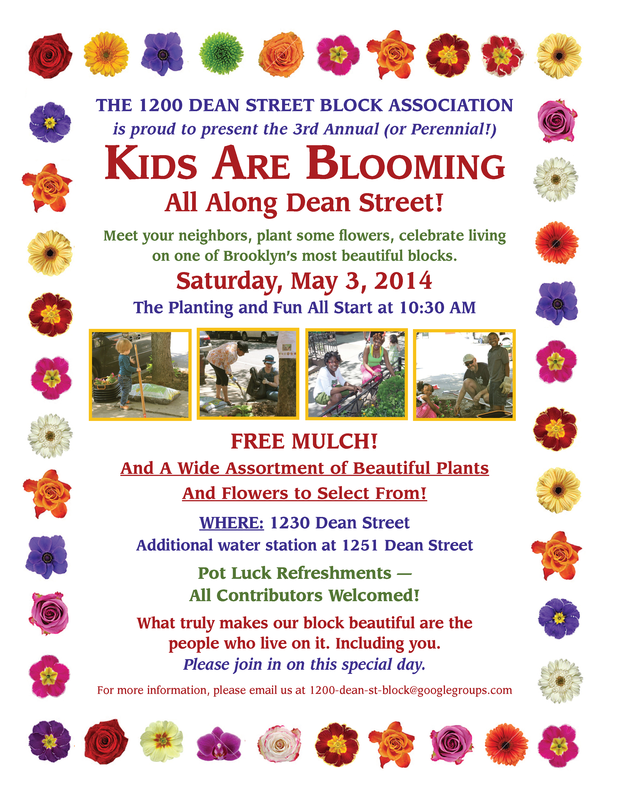 Next block association meeting: Monday April 21st at 6:30 P.M.
Our block association meeting is scheduled for 6:30pm on Monday April 21st 2014 at the home of Beatrice and Ken located at 1230 Dean Street. Please share this information with our neighbors who are not online. Posted on April 20, 2014 Categories UncategorizedLeave a comment on Next block association meeting: Monday April 21st at 6:30 P.M.
Posted on April 20, 2014 April 20, 2014 Categories Announcements, BeautificationLeave a comment on Come join us for our spring planting event! May 3 @ 10:30 A.M.